Sindre Kolstad Valan from Røros is a rookie in Finnmarksløpet this year. He caught up with a competitor during the last leg of the race, and managed to claim the bronze medal in this year’s FL-500. 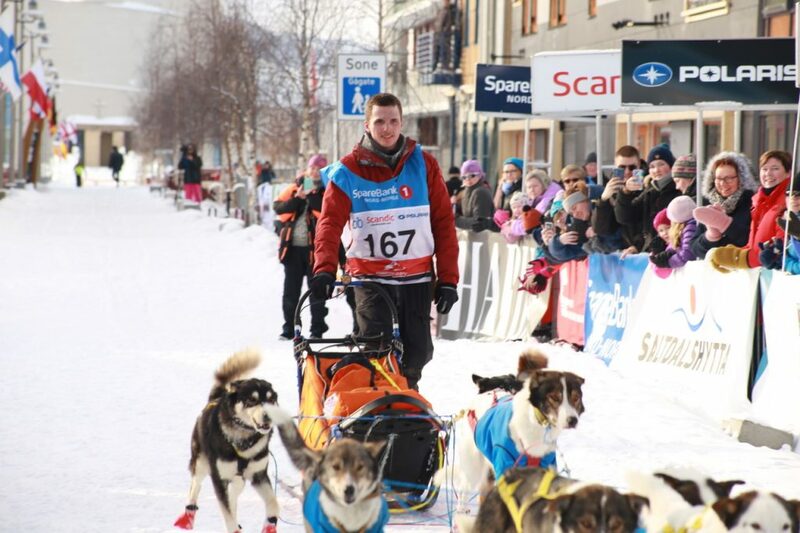 Sindre Kolstad Valan collaborates with Niklas Rogne and is racing dogs from Rogne and also Frode Wang this year. The opportunity to participate in Finnmarksløpet came about just a few weeks ago for Valen – an opportunity he took whole heartedly and did not waste. The rookie won a bronze medal in his very first Finnmarksløp. – It was a tough start for us, with a high start number and heavy tracks. But things turned better after Kautokeino, said Sindre after he had made it to Alta. He kept improving his position throughout the race and after the last leg, his efforts were rewarded. When did he realize he would be on the podium? – I realized that when I reached the Alta river, he said. His achievement is impressive – and perhaps is it not a surprise, he told speaker Trond Anton Andersen. – In my spare time I run. Marathons!